While the very best praise comes from all of our Denver and Colorado brides who find their wedding gown with us, we appreciate all the press and awards we have received over the years! 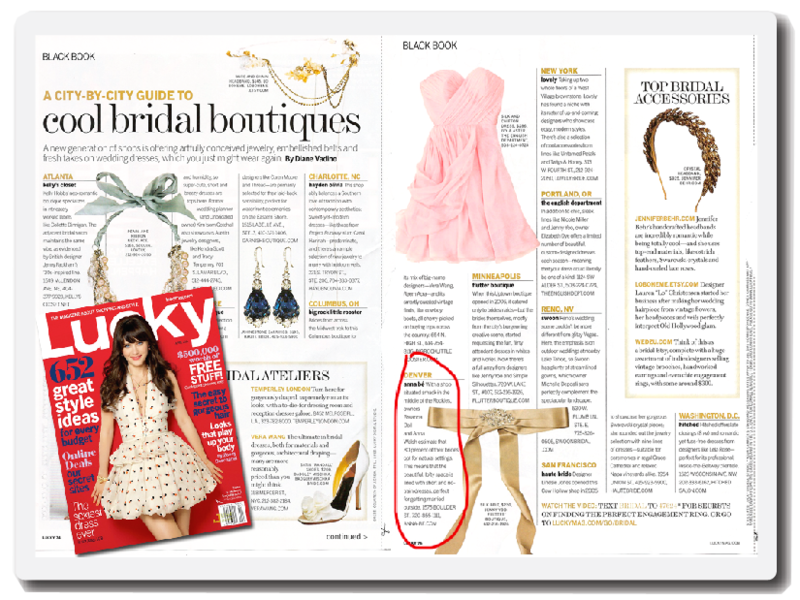 Whether it be recognition in national publications such as Brides Magazine: The Best Bridal Salons in America, or seeing countless real anna be brides featured in the best magazines and blogs including Style Me Pretty, Rocky Mountain Bride, 100 Layer Cake, and Green Wedding Shoes, we are so grateful to be included in such a dynamic and beautiful industry! Former Denver Broncos receiver Eric Decker and anna bé bride and country/pop singer Jessie James Decker. Karissa, local Denver style blogger and anna bé bride. Denver Avalanche player Paul Stastny and anna bé bride Haley Fowler.